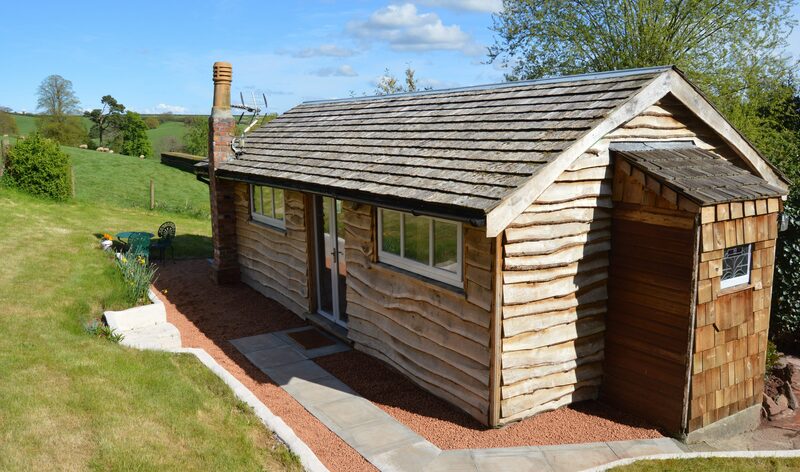 A one bedroom log Cabin in the grounds of historic Burton Hall – a large wooden house shipped from Norway in the 1870’s. 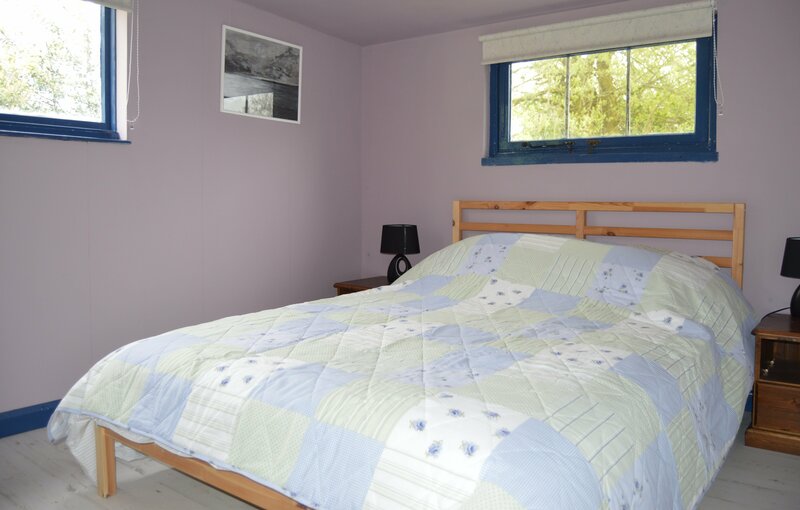 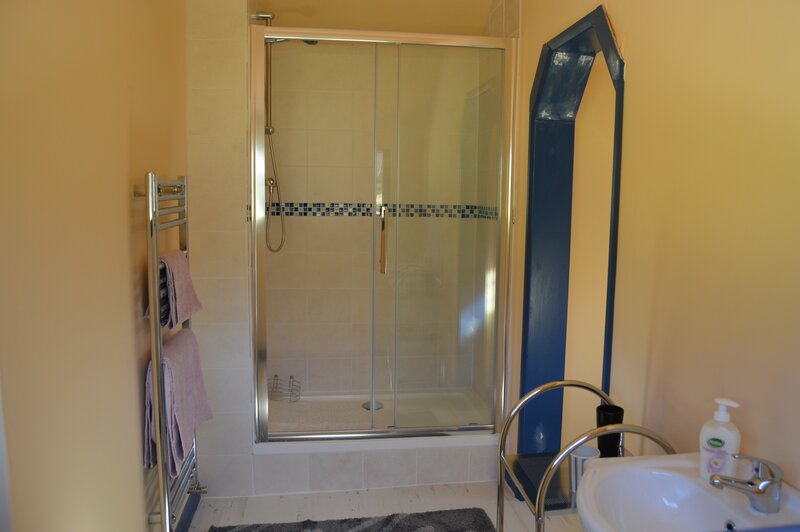 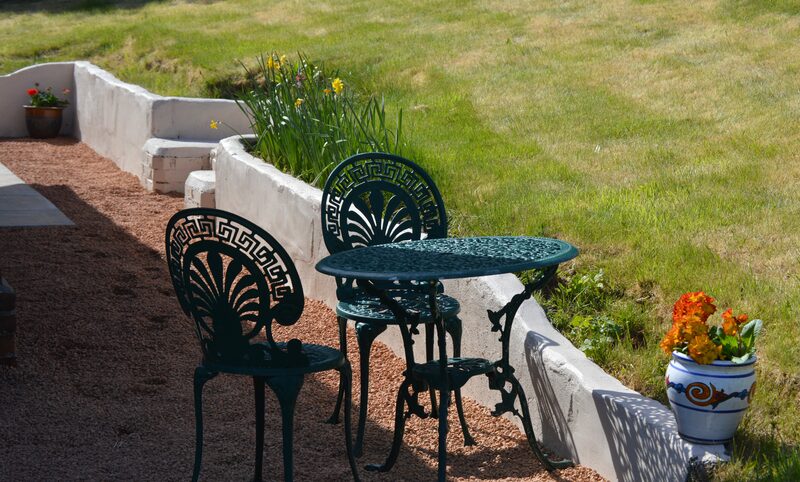 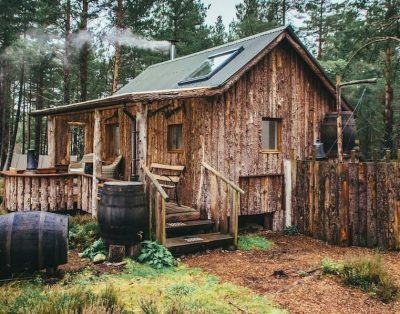 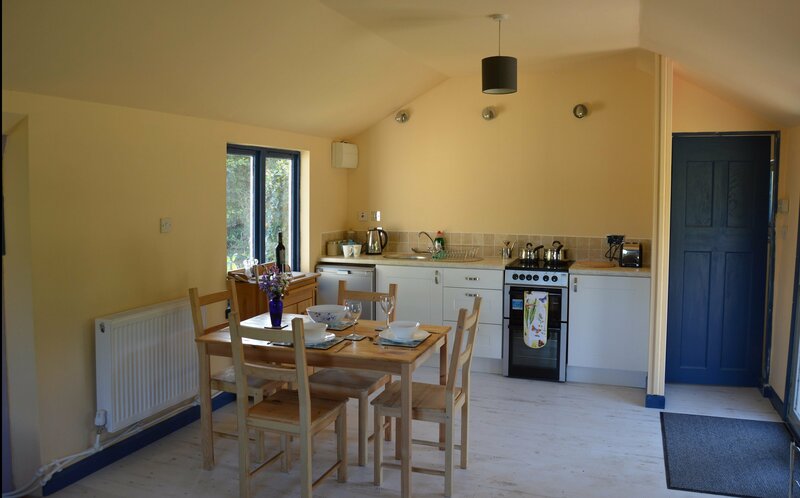 Situated in its own garden the Cabin is a well equipped open plan space with a separate double bedroom and shower room. 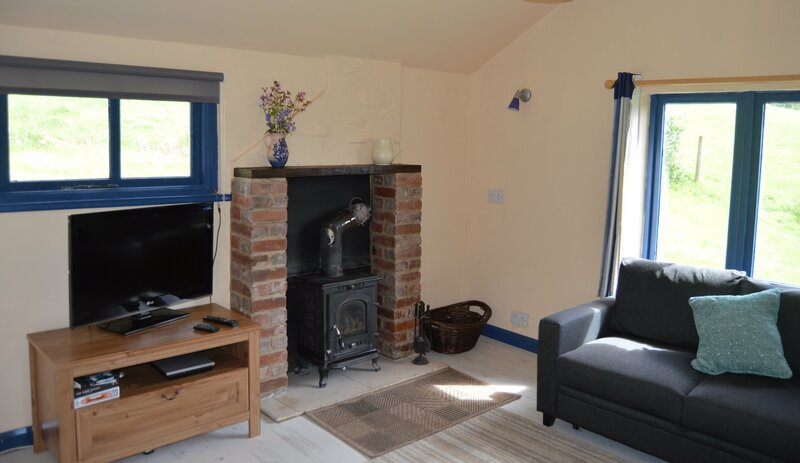 There is central heating and a cosy log burning stove, a comfortable seating area with flat screen TV, free WiFi, fully equipped kitchen and an outside seating area. 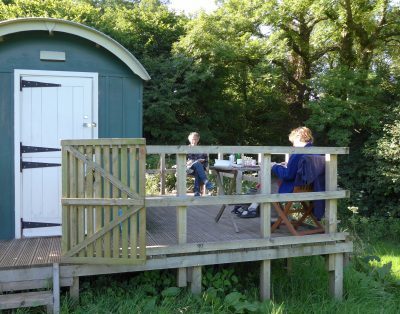 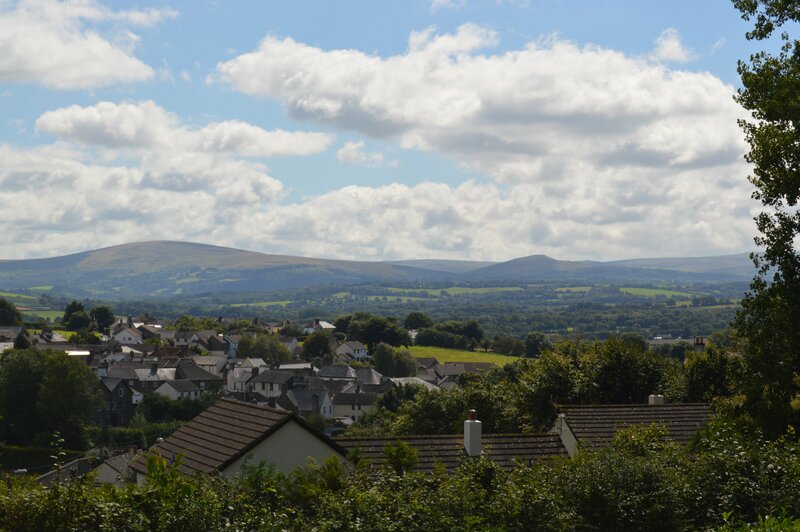 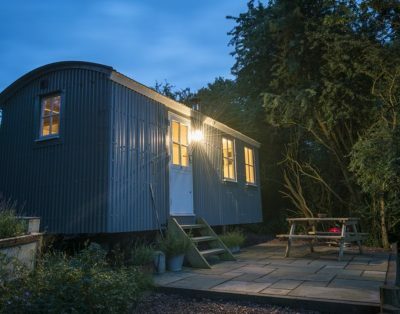 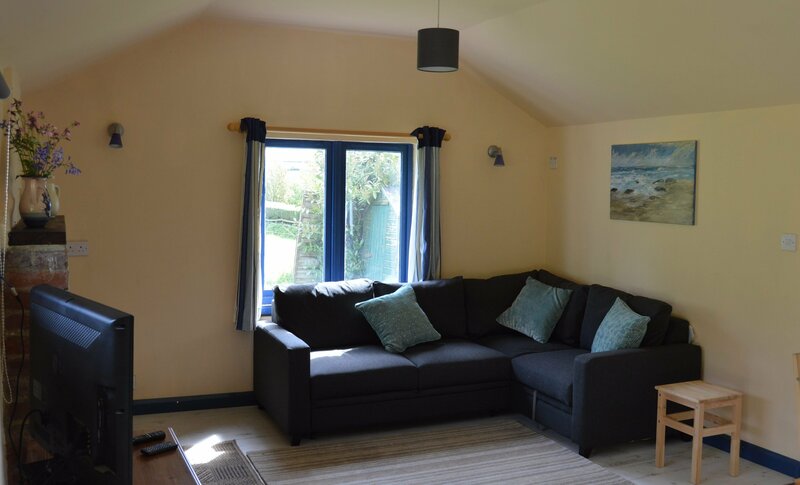 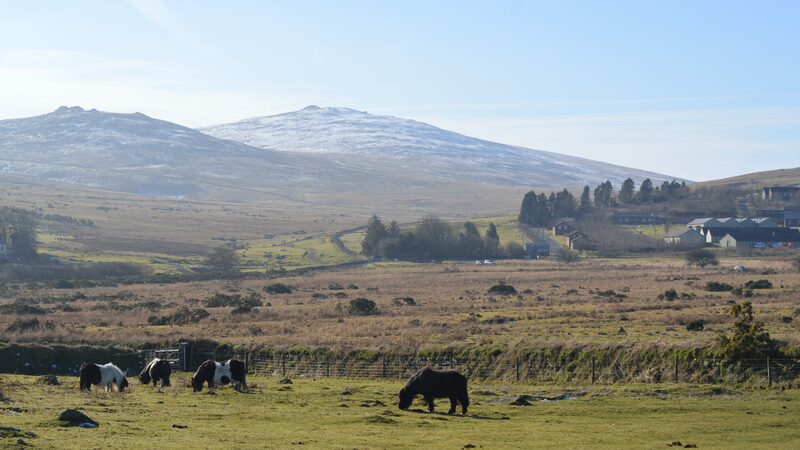 Surrounded by fields the Cabin enjoys wonderful views and is ideally located for walks and cycle rides around country lanes as well as easy access to Dartmoor and the Devon coast.